One of my all-time favourite books is The Hard Thing About Hard Things by Ben Horowitz, in particular, the chapter entitled ‘The Struggle’. I can relate to The Struggle. All of it. Product Leaders will likely find many of the struggles described in the book are just as relatable as the struggles entrepreneurs such as Horowitz’s face. The Product Leadership struggle is akin to the Entrepreneurship struggle because the role has no clear learning path. No school or course can prepare you for the breadth of issues and challenges you’ll be faced with. From operational to strategic, people to the product, financial to technical, Executives to Developers, you’ll have to respond with the right aplomb to ensure you give just enough direction to guide rather than decide. Simple tools, such as Product Principles, can be highly effective for this. I’ve used Product Principles to save sinking Product ships, where every product decision is fought over like a tug of war, where no amount of customer data or empirical evidence can sway minds. Product Principles are a simple set of guidelines that reminds the team to behave in an agreed way. Principles are neither the mission or the product’s vision statement, but act similar to lists of dos and don’ts, working to quickly bring about team alignment and improved performance. They help keep folks focused and accountable while limiting the need to command and control individuals. There are different layers of Product Principles. They can exist at an individual level. “I will behave and develop products in this particular way.” If you’re serious about your craft as a Product practitioner, spend time reflecting and penning what’s important to you when developing and managing products. They can exist at a team level. “We will behave and develop products as a team in this particular way.” If you want to amp up consistency and develop team culture, take time out as a team to craft the team’s principles. And, they can exist at the product level. “The product will behave for the customer in this particular way.” If the product is complex, with multiple hands involved, consider creating a set of principles to help individuals make consistent decisions. 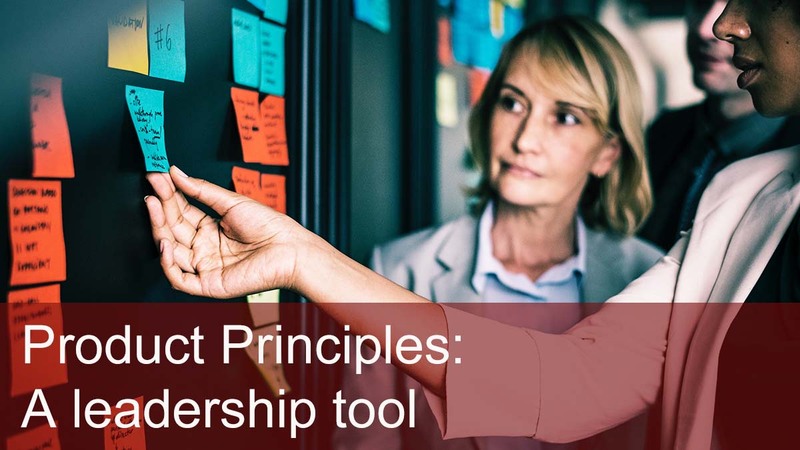 Product Principles are particularly relevant for Product leaders because they empower the team to be self-led, with limited operational involvement from the Product Leader, while giving the team more control over their work environment. Establishing a set of Product Principles in conjunction with the Product Team should be your first step as a Product Leader. The process of arriving at a set of memorable and useful Product Team Principles begets deep discussion with your team, enabling you to learn more about your people. This conversation reduces barriers and shows your leadership skills, particularly your openness as a leader to team contribution and the opportunity for the team to create their own narrative. Product Team Principles are unique to each organisation and the people within the organisation. 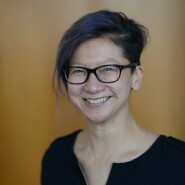 For example, If you work in a mature organisation that operates in a regulated environment (health, safety, financial services), having a principle which encourages individuals to bypass those regulations only sets the team up for disappointment, so it’s vital that your Product Principles help the team achieve their goals. To begin the process, give individual team members time to consider what’s important to them at work as, essentially, each team member will develop their own set of principles. Sharing individual team principles is a great way to kick off the process of finding patterns of similarities and differences in the team. The team can vote for a principle or debate which ones should form part of the Product Team Principles. More importantly, David Rock, CEO of the Neuroleadership Institute suggests that “principles should be pithy to the point of ready recall.” This takes time to get right. With the dawning of a new work year, schedule time to make Product Principles a reality in your workplace. Setting the wheels in motion to create a set of Product Principles should begin to lift some of the fog from ‘The Product Leadership Struggle’.